A bit like a political party before a general election, the GAA launched its manifesto last week, except without all the press in attendance. The manifesto is an attempt to put down in a simple way what the GAA is about – and what it is doing anyway. In so doing it copies the basic principles of the Universal Declaration of Human Rights which was launched by the United Nations in 1948. So the GAA manifesto is based on sound principles. It is the safe environment for people of all ages to reach their full potential, whether on the field or off. There is sometimes some confusion on the narrow interpretation of this ideal. One of the reasons why I like to keep big numbers involved with school teams is that, apart from those who will go on to become good players at club and county level, there are others who are just as important, like those who serve their club as officers, referees and on management teams. Then there are those who park cars for big matches, mark the pitch, put up the flags, clean out the dressing rooms and wash the jerseys. This is what belonging means. The GAA never stops reminding everyone of how great it is at all these things. It is true too. That is reflected in growing membership and the expansion of clubs, especially in urban areas, and the greater involvement of women (a direct contrast with the human rights declaration, which deals in male terms only). Yet there is a lot of road to travel. The GAA’s charter is just one stop on the journey. The first big change would be to make the UN charter part of the GAA in one respect – the bit that speaks of equal and inalienable rights of all members. If that term ‘equal’ applied in the GAA we would have just one organisation for men and women, boys and girls. The term ladies’ football should be abandoned too. The GAA should be one big, constantly evolving family with the ability to accept many differences of opinion. That is probably coming; I don’t know whether there any of the associated groups would block a one-union GAA. The biggest growth I’m seeing is in young girls playing football. It is a fantastic development for the GAA but it does bring its problems. The main one is the availability of green space. The pressure on playing pitches in most clubs with growing membership is at breaking point and we are lucky that this has been a remarkably dry and benign spring or else a lot of pitches would not be able to take the numbers who want to train and play. Young girls don’t care who the pitches are affiliated to or what rights they have. All they want to do is play. That is the way it should be: a family organisation without any distinctions. Another issue with the explosion in girls playing is the availability of enough competent, well-trained women to run teams. There is a certain lack of confidence in many women taking over teams, and good mentoring could yield a rich benefit to the men’s game too. How long will it be before there is a woman managing a men’s county team? With women starting to take more prominent roles on county boards, it is only a question of time before they move into management. Training more women to run girls’ club teams would be a great start. This is hardly a radical concept – it is merely stating the obvious that the GAA and the Catholic Church would be much better off with greater roles for women. Where new pitches are needed there can be no discrimination between men and women when it comes to putting the shoulder to the wheel in fundraising. There are no free lunches in the GAA and all help is self-help. Naturally there are plenty of places where land prices are too high for any club to pay. That is where pressure on local councillors and officials to zone land for recreational purposes is vital. And the direct provision of playing pitches is part of a council’s remit too. 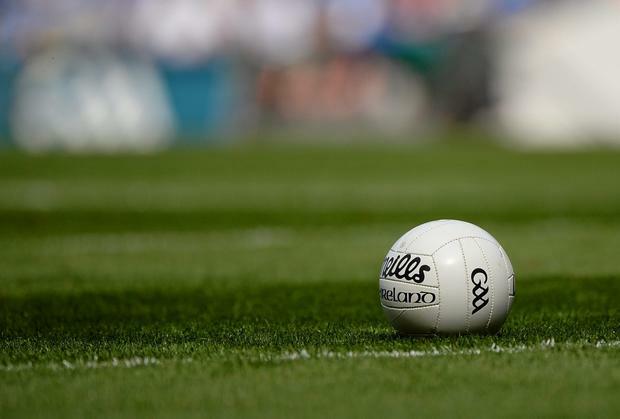 For many years the GAA has provided the infrastructure to allow the development of our games, but there are limits to what any organisation can do in the face of rampant capitalism. There was a once in 100 years opportunity for one arm of government, namely NAMA, to provide enough leisure amenities for the GAA for the next 50 years in all the big towns and cities. Instead they sold land to hedge funds and have tried to convince the public that they did a good job. Another example where they knew the price of everything but the value of nothing. The GAA must now start from scratch again in providing leisure facilities for young people. Those same hedge funds buy apartment blocks and rent them at exorbitant rates to our young gardaí, teachers and nurses who cannot afford to buy their own houses. Nobody seems willing or able to prevent this happening. Why not just stop it by only allowing single purchases of houses and apartments? In setting out the manifesto the GAA is basically saying it is doing a lot of things very well, which it is. The big tests, though, are coming in the way club fixtures are organised in different counties and the growing disconnect and disenchantment that is building between club and county. That needs immediate and radical change, and all that is offered is sticking plaster solutions. If that is not tackled the GAA manifesto becomes a document with nice aspirations but which is only hiding the real frustrations.